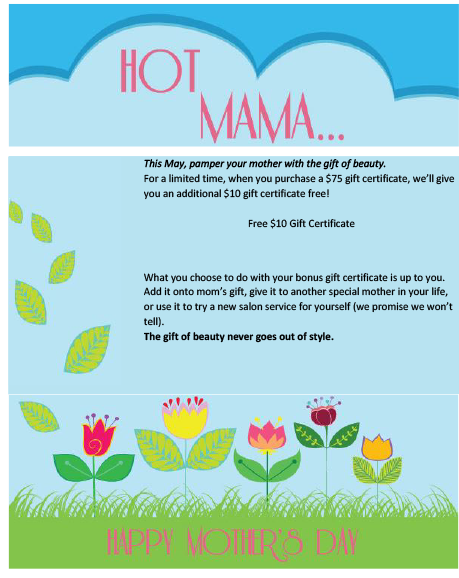 Gift certificates are available for sale in our salon during regular business hours. *Offer expires May 31, 2017. Terms & conditions apply. There are currently no comments for Mother’s Day Special.